From left: Khun Passarin Kanjanatep, Associate Market, Khun Pimpawee Nopakitgumgorn, Director Market Management-Thailand, Expedia® Lodging Partner Services, Khun Nitchanan Thomkaew, Assistant Reservations Manager, Regent Phuket Cape Panwa, Khun Manunart Kocharat, Revenue Manager, Regent Phuket Cape Panwa, Khun Phusit Makmangme, Market Associate, Expedia® Lodging Partner Services and Khun Wasan Poontananiwatkul, Area Manager- Phuket, Phang Nga, Expedia® Lodging Partner Services. PHUKET, THAILAND (August 11, 2015) – Regent Phuket Cape Panwa with its dedicated attention on bespoke services and unparalleled facilities today announced that it has received an Expedia Certificate of Excellence – Highest Engagement Partner 2014/2015. 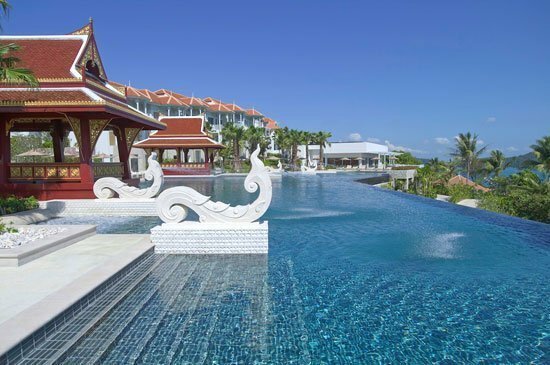 The award acknowledges that the resort has been in the top performing of all business in Phuket, Thailand on Expedia.com. “Earning this award is a significant achievement for our business and our continuous efforts. We are proud to have received such an honour that shows to us the confidence that our guests have consistently gained in our resort and us. We would like to thank sincerely all of Expedia travelers for their trust in us and for choosing Regent Cape Panwa as their home in Phuket.” said General Manager, Brice Borin. Expedia is one of the world’s largest travel company with an extensive portfolio featuring some of world leading online travel brands, these brands cover virtually every aspect of researching, planning and booking travel.